This guest post is brought to you by my friends at Headphone Ninja. Anyone following the blog knows I love headphones, and Jo-Ann and company have culminated four tried-and true classics to discuss. Studio headphones fill the market today. However, many of them are either far too expensive or far too inaccurate when it comes to meeting the referencing demands of producers and audio engineers. While everyone would love to own a pair of the sleek Sennheiser HD800s or the beautiful Japanese cherry birch wood Fostex TH 900s, we don’t all have a Hans Zimmer’s budget. In this post we explore four of the more preferred headphones available in 2017 that are well suited to the modern day studio. Comfort is key when it comes to long studio sessions. The generously padded earcups and adjustable headband of the ATH-MX50 provides comfort, and while the headphones do clamp down reasonably hard, they do not physically strangle the life out of your temples. They are slightly heavy at 10-ounces, but this should not be a deciding factor for those looking to use these in a studio environment. 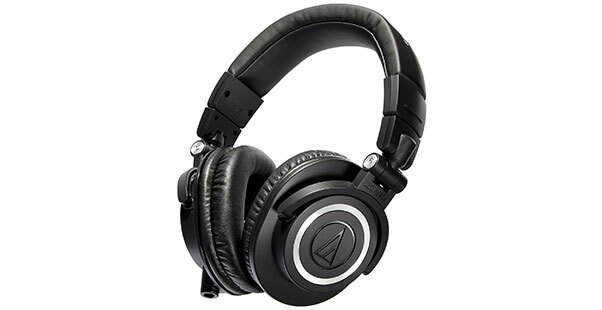 The ATH-M50X is fitted with large 45mm proprietary drivers that deliver exceptional clarity. Some individuals who have used these thought that the bass is slightly high, but the mid frequencies are fairly well represented. The higher frequencies also appear to be slightly bright, but not to the point of fatiguing the ear. The 90-degree swivelling earcup is great for single ear monitoring and the frequency response ranges from 15 - 20,000Hz. 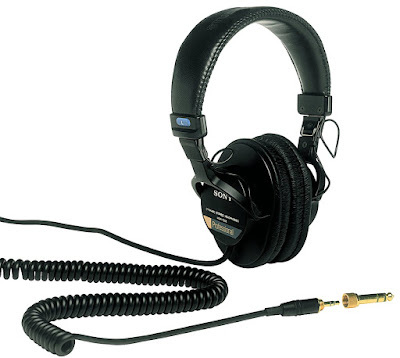 Introduced back in 1991, the Sony MD7506 has remained a firm favorite amongst many looking for high quality and reliable headphones. Their durability is as decent as a pair of plastic headphones can get, with the only real issue of deterioration being the earpads on the cups, but these are replaceable. At around 8-ounces, they are light enough to not burden the wearer much. 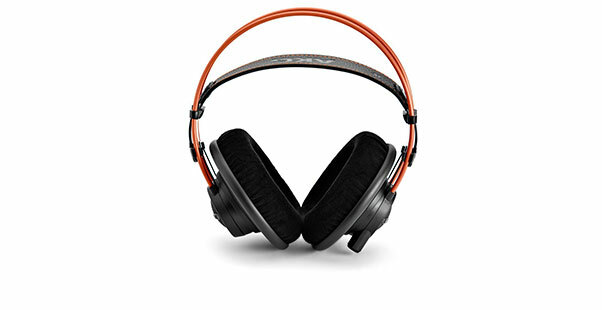 The MDR7506’s frequency response ranges from 10 - 20,000Hz. It has revealed a solid bass response in tests, albeit slightly bumped up in the 60 -100Hz range. Mids remain fairly flat while the low treble to the high treble frequencies are quite inconsistent; the sibilance range is slightly boosted and can be slightly piercing to the more sensitive ears. The soundstage is decent for a closed-back pair of cans. They have an 63-ohm rated impedance and their low leakage is also suitable for recording purposes. The coiled 9.8-inch cord is more than enough for studio environments and it does come with a ¼ inch adaptor. The Sony MDR7506 gives many mid-range referencing cans a run for their money. The Sennheiser HD 650 are slightly pricier, but it seems important to add these cans for those who enjoy the spacier sounds that open-back circumaural headphones offer. The suede-like fabric is a nice touch on the large, encompassing cups that house the efficient neodymium magnets. The slightly under-emphasized low bass frequencies with the minor boost on the high bass gives the headphones a more natural sounding low end. The mid range responses are pretty much flat throughout and the treble frequencies are consistent. Their impressive frequency response coupled with the spacious sound created by the deep drivers and open-back design makes these excellent for critical listening. Needless to say, their isolation is pretty much non-existent, making these more suited to quieter environments. They are also less suitable for recording purposes, because they do leak quite a bit of additional noise, which in turn will bleed into your microphone. The Sennheiser HD 650 is an excellent referencing headphone and offer an awesome frequency response, though they are less suitable for recording purposes however. Editors Note: The 650s can sound a little dull in the treble with the stock cable in some setups. A replacement featuring silver-clad copper can bring out the highs. Check with Zynsonix for additional details. The AKG K712 PRO are another great choice for mixing and mastering purposes. The design is slightly bulky, but they are purposefully built for studios, so that is completely understandable. The memory foam earcups captures the shape of your head, but they are rather large. 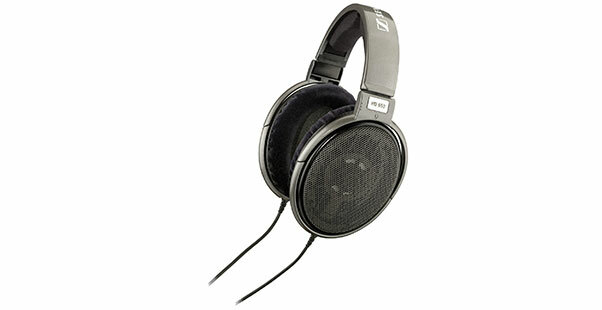 Sound wise, they deliver a spacious and accurate audio reproduction, but the sound is a bit warmer in the upper bass. Still, it is well controlled overall. The mids are represented accurately. Sensitive ears may find the slightly boosted (and somewhat inconsistent) higher frequencies a tad overwhelming, as they can sound harsh. The frequency response ranges from 10 - 39,800Hz in its entirety and it has a low harmonic distortion. As a whole, the AKG K712 PRO have a natural sound and are well suited to intensive referencing sessions. The open-back design means they are more suited for mixing and mastering in studios. This is by no means a comprehensive guide to selecting studio headphones, but a look at some of the more popular headphones around at the moment for any type of studio. While they may mostly be mid-range headphones, they perform well within their specific categories and are well suited for studio use.